I was recently thinking about the recent furor surrounding the Samsung Galaxy Note 7 phone when it was released. As the drama has unfolded things seems to have gotten worse and worse for the South Korean tech powerhouse. Each passing day bringing with it a new sting in the tail. Naturally, the media are lapping it up and fanning the flames of shock and outrage. A quick internet search reveals tales of phones exploding in pockets, fireproof boxes for returns, Royal Mail refusing to deliver the phones and most devastatingly of all a global recall for the Note 7. So it’s safe to say that the whole sorry episode has been something of PR disaster for Samsung. So it got me thinking about how companies react in times of adversity. How with strong leadership companies can emerge from uncertain times not only wiser but far stronger. As the old adage goes — setbacks pave the way for comebacks! There isn’t a leader on earth who hasn’t experienced adversity or failure but to coin a phrase ‘if you want to see a rainbow you have to put up with the rain’ it’s how you bounce back that counts. I firmly believe that it’s the leaders that don’t know when to quit that end up succeeding. It’s the ones who don’t wilt at the first sign of trouble and stay true to their values and vision that will ultimately achieve their goals. Only a few years ago one of the largest car manufacturers on the planet Toyota had to recall 8.8 million vehicles for safety defects, including a problem they identified with the car’s accelerator where it would jam when driving (which caused multiple deaths). As you can imagine the leadership team at Toyota were initially slow to react in the face of negative PR. However, with time their Chief Execs across the world came to the fore. They traded in on the brands long held global reputation as a consistent producer of high-quality vehicles — This they said was just a blemish on an otherwise exemplary record. The company also responded with a long-term advertising strategy that focused on quality and extended warranties for all vehicles. Over time consumers gradually came to trust Toyota again and it still retains in place as one of the world’s top-selling car manufacturer. Going back to a couple of decades ago Johnson & Johnson had probably the worst PR disaster in memory when in the space of just a few days seven people died after taking cyanide-laced capsules of the company’s best selling Extra-Strength Tylenol. So-called experts predicted at the time that it would be impossible for the brand to recover. Rather than burying their heads in the sand and admitting defeat hoping the storm would blow over Johnson & Johnson did something that at the time was considered remarkable — they recalled all 31 million bottle and offered replacements for customers. Product recalls are commonplace now but back in the 80’s it was unheard of and a daring move. They put their customer’s needs and safety first but still showed faith in their product by keeping it on the shelves and inviting customers to continue using it. James Burke, was the company’s chairman at the time and it was his strength of character in facing the media and public backlash that actually ended up winning the company new fans and within 12 months almost completely recovering their market share — not only that but the brand has continued to prosper and is one of the biggest pharmaceutical companies on earth. Samsung are not the only smartphone manufacturer to have product problems — who remembers ‘bendgate in’ 2014? A strange affair where reports flooded in that IPhone 6 models were mysteriously bending. Apple’s competitors were quick to rub salt in the wounds printing ads that mocked Apple’s plight. However, it was Apple who had the last laugh! CEO Tim Cook took center stage and managed the crisis by proclaiming with a cool head that in reality just 9 units out of 10 million had been affected and furthermore he invited the media into Apple’s test lab to put the phone through its paces and see the rigorous testing each device was put through. Over time, customers forgave Apple and the IPhone continued to sell in volume across the world — their reputation was kept intact. I believe that the key to the ‘phoenix effect’ (rising from the ashes of a crisis) is that you need to admit and learn from your mistakes. Generally, consumers understand that ‘s@%t happens’. Problems happen one way or another to each of us every day but it’s but how you respond in a time of crisis that will live long in your customer’s memory. If you handle a time of potential crisis quickly with honesty & sincerity then you will build customers loyalty for your brand and the relationship will be even stronger as a result. 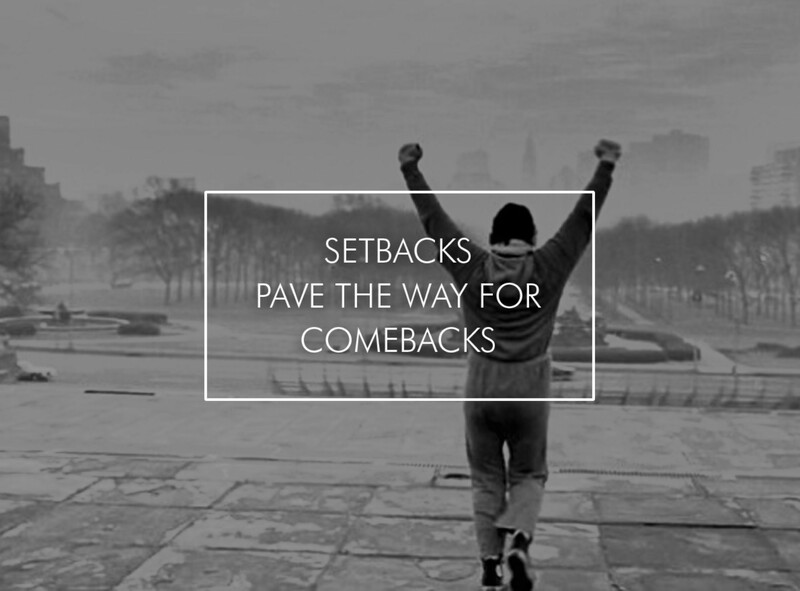 So do setbacks pave the way for comebacks? When handled with strong leadership, a calm head, a definitive plan of action for recovery and a customer first mentality you bet they do! We have to remember that ultimately we are all customer and as a result, we need to treat our customers in exactly the same way we would like companies to treat us. If we can tap into that mindset then finding a way of overcoming unforeseen adversity becomes an obstacle that can be overcome. It will be interesting to see how the leaders at Samsung tackle the problems they are currently facing over the next few months but if they handle the situation correctly then they may just emerge bruised and battered but a stronger company for the experience — just as long as they don’t make the same mistake twice. Scott Brenchley is CEO and Founder of Tactus Ltd, 8K Xtreme and also CEO of Flexwarm Europe — Global leader in integrated wireless technology. With over 20 years’ experience in the technology sector, Scott has extensive insight into these fast moving markets and the latest products, trends, and developments. Tactus also offer Supply Chain, Sourcing and Asset Management Services to their business to business clients and are proud to have worked with Argos, Selfridges, Tech Data and John Lewis as well as many other clients.